The list of new books added to our collection in November 2014 is available here. The exhibition of books from the Natolin Library collection covering the Romanian Revolution of 1989 is presented in the Library’s Reference Room. The exhibition accompanies a debate entitled “The 1989 Romanian Revolution in Central European Context” which will be organized on 26 November 2014 by The Chair of European Civilization at the Natolin Campus of the College of Europe (see invitation). Additionally the Library has compiled a bibliography on the Romanian Revolution of 1989 and contemporary Romanian history. The bibliography in PDF format can be downloaded here. The Library offers a free trial access to two EBSCO databases: Central & Eastern European Academic Source (CEEAS) and Historical Abstracts with Full Text. Trial runs: 17 October – 27 December. It is available on campus only. You are welcome to provide feedback on these databases. Please send your comments to: Katarzyna Dudek. 1. Central & Eastern European Academic Source (CEEAS) - a multidisciplinary, multilingual database providing access to full-text publications on the countries of Central and Eastern Europe. The collection contains about 600 full text publications (including 182 monographs) covering many academic areas such as: business & economics, medical sciences, political science, law, library & information sciences, literature, linguistics, history and sociology relating to this geographic region. Sample journal titles: Hungarian Quarterly, Lex Russica, Journal of East European & Asian Studies, Transylvanian Review, Central Europe, Social Change Review, Polish Sociological review. Sample monographs: Russia-Europe Energy Relations: Implications for U.S. Policy (Center for Strategic & International Studies, 2010), Sovietization of Eastern Europe: New Perspectives on the Postwar Period (New Academia Publishing, 2008), series: On the Boundary of Two Worlds: Identity, Freedom & Moral Imagination in the Baltics (Editions Rodopi BV). List of titles available here. 2. Historical Abstracts with Full Text covers the world's scholarly literature in history. Included are article abstracts and citations of books and dissertations on the history of the world, except the United States and Canada, from 1450 to the present. Articles are abstracted from over 2,600 journals published in over 40 languages. These are the world's major historical journals, including many covering regional history, as well as the most important titles in related social sciences and humanities. In addition, full-text coverage is provided for more than 400 journals and over 130 books. Sample journal titles: Clio (Fort Wayne, IN), Chinese Historical Review (Maney Publishing), Journal of Modern History (University of Chicago Press), Lagos Historical Review . Sample monographs: Columbus & the New World (Peter Lang, 2001), Cuba in Revolution: A History Since the Fifties (Reaktion Books Ltd., 2008), Encyclopedia of Modern Dictators (Peter Lang, 2006), La Historia Económica en España y Francia (Digitalia, Inc., 2006), Politics of the Veil (Princeton University Press, 2007), Romania: Bordeland of Europe (Reaktion Books Ltd., 2007). Subjects: History (General), Ancient History, British and European History. The list of new books added to our collection in October 2014 is available here. The list of new books added to our collection in September 2014 is available here. The list of new books added to our collection in August 2014 is available here. The list of new books added to our collection in July 2014 is available here. The list of new books added to our collection in June 2014 is available here. During summer holidays the Library will be closed due to importatnt construction works performed in the library building. For details see here. The list of new books added to our collection in May 2014 is available here. The list of new books added to our collection in March 2014 is available here. 60-day online trial starting from March 14, 2014 for all Berghahn Journals is available through Ingentaconnect. It provides access to 38 titles of peer-reviewed academic journals including e.g. International Journal of Social Quality; Israel Studies Review; Regions & Cohesion. French Politics; Culture & Society; German Politics & Society; Italian Politics; Nature and Culture; Religion and Society: Advances in Research and many others. From March 1-31, 2014 Palgrave Macmillan is offering FREE online access to all its journals. This includes all current and archival content for our portfolio of titles spanning the Humanities, Social Sciences and Business. Palgrave Macmillan journals can be browsed here. The list of new books added to our collection in February 2014 is available here. The list of new books added to our collection in January 2014 is available here. The list of new books added to our collection in December 2013 is available here. The list of new books added to our collection in November is available here. On Saturday 21 September Mr. Ian Thomson, Director of the European Documentation Centre at Cardiff University delivered two lectures: 'The role of information and communication in the governance of the European Union' and 'Europe on the Internet : a selection of useful websites for information on the European Union and the wider Europe'. The presentations are available here: lecture 1, lecture 2. The list of new books added to our collection in May is available here. The list of new books added to our collection in April is available here. On the ocassion of the 70th anniversary of the Warsaw Ghetto Uprising we have compiled a list of books on Warsaw ghetto (1939-1943) available in our collection of books. W Bibliotece Kolegium planowane jest poddanie digitalizacji prac dyplomowych złożonych przez absolwentów uczelni. Digitalizacja zostanie zlecona kontrahentowi wyłonionemu w konkursie ofert spośród podmiotów zajmujących się tego typu działalnością. Istotne czynniki przy wyborze wykonawcy: doświadczenie w realizacji prac digitalizacyjnych, czas realizacji zamówienia, koszt wykonania znormalizowanego skanu jednej strony dokumentu w odpowiedniej rozdzielczości. Szczegóły w załączniku. Mr. Ian Thomson, Director of the European Documentation Centre at Cardiff University will deliver two lectures: 'The role of information and communication in the governance of the European Union' and 'Europe on the Internet A selection of useful websites for information on the European Union and the wider Europe'. Poszukujemy dwóch osób do prac porządkowych w księgozbiorze w okresie wakacyjnym. Szczegóły tutaj. We have managed to arrange some additional space for new books. 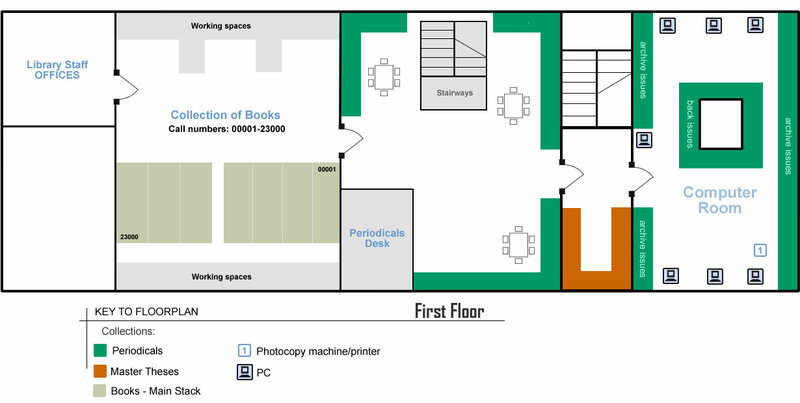 From now on books with call numbers greater than 31550 will be stored on shelves in the European Documentation Centre room on the first floor. A new service called "Due Date Reminder" was launched today. It is an e-mail generated by the Library system and sent to the user’s mailbox. It contains information on upcoming due dates for the books and other material that are assigned to user’s Library account. We hope that this will help users to better track/manage their loans and renew them before they get overdue. We encourage users to use their Library Accounts at http://hip.coleurop.pl to renew their loans. A short guide on how to do that is available here. From the beginning of 2012 the Library will open earlier and close later. See current opening hours here. The 'Europolitics' team has just announced that it intended to stop the publication of the monthly periodical 'New Neighbours' by the end of December this year. December issue will be the last one and the title will not be continued. All the information compiled in the periodical is provided first-hand in 'Europolitics' daily. Both titles are available in our Intranet for internal access only: Europolitics, New Neighbours. On Monday, 21 November, 2011 at 5.00 pm Professor Norman Davies will deliver a lecture entitled: "Vanished Kingdoms". The lecture will be held in the Retinger Building, Auditorium 2 at the College of Europe, Natolin campus. The lecture is organised by the European Parliament-Bronisław Geremek European Civilisation Chair. The draft list of books by Prof. Davies available in the Natolin Library is available here. The European Information Seminar addressed to the students of Marie Curie-Skłodowska promotion took place on 24 September. Mr. Ian Thomson Director of the European Documentation Centre at Cardiff University has delivered two lectures: 'The role of information and communication in the governance of the European Union' and 'Europe on the Internet A selection of useful websites for information on the European Union and the wider Europe'. The material to accompany both lectures is available here: lecture one ; lecture two. Today the Library implemented version 4.3 of the EuroVoc thesaurus to our catalogue. With the updated version of EuroVoc the Library users will benefit from more comprehensive and more relevant tool enabling more effective search in the catalogue. EuroVoc is a multilingual and multi-disciplinary thesaurus covering the activities of the EU. It is managed by the Publication Office. It serves as a coherent indexing tool for the management of wide range of information resources. It was originally built up specifically for processing the documents of the EU institutions. Today its users include the European Parliament, the Publications Office, national and regional parliaments in Europe and many other libraries and documentation centres in the world. The Natolin Library has been using the EuroVoc for subject indexing of its collections since 1993. Polish language version and subject indexes in Polish. If you have any questions or should you encounter any problems concerning the thesaurus please contact the system administrator Paweł Mielczarek. A new database provided by EBSCO will be available for testing at EBSCOHOst platform from 10 March till 10 May 2011. “World Politics Review” is a daily, online publication and resource for foreign policy professionals and readers with a serious interest in international politics and foreign affairs. Its original articles are written by a network of more than 400 contributors from around the world, including subject-matter experts from journalism, research organizations, academia, government, and elsewhere. World Politics Review covers topics of key relevance to foreign policy, international politics, and foreign affairs. To test the database simply go to EBSCOHost website. Today Aleksandra Węgłowska has joined the Library team as Assistant Librarian. Aleksandra is a recent graduate of the Department of Librarianship and Information Science at Warsaw University. In Natolin Library she will support the Periodicals Department as well as she will perform regular shifts at the Loan Desk. Today the Library has launched a new library service – Journal Table of Contents (Journal TOC). It contains the table of contents for the majority of scholarly journals subscribed by the Natolin Library (almost 140 titles). The service is available on the separate page at the Library website. Journal TOC is available in a form of fully searchable PDF files. They are divided according to subject divisions of the Periodicals Collection. ‘The latest update only’ files contain TOC of journals received and registered by the Library in a past month. ‘The complete TOC’ files contain a combined table of contents for the recent year onwards including latest update. From 25 till 28 October (Monday-Thursday) the Library will be open from 9:00 a.m. till 5:00 p.m.
On the 1st of November and 11 of November the Library will be closed. Biblioteka Kolegium Europejskiego Kampus w Natolinie (Warszawa) poszukuje pracownika na stanowisko asystenta bibliotecznego/młodszego dokumentalisty na okres 1 roku. Szczegółowe informacje dotyczące profilu kandaydata są dostępne tutaj. Zgłoszenia na adres wtp@coleurope.eu należy wysyłać do 20 września 2010. On the occassion of Katyn massacre 70th anniversary celebration a selective bibliography of publications based on the Library's resources has been compiled. The list contains short descriptions of books available at the Natolin Library, their tables of content and call numbers allowing to easily track them on the Library shelves. The bibliography is available at the Publications page. The Library will be closed on Thursday 17 December from 5.30 p.m. and on Friday 18 December from 3.30 p.m.
Due to Christmas holidays the Library will be closed from 19 December 2009 till 3 January 2010. On the 4th of January we are back to regular opening hours. The Library will be closed on Wednesday, 11 November 2009. On the 12th of November we are back to regular opening hours. The Library will be closed on Monday, 2 November 2009. On Tuesday the 3rd of November we are back to regular opening hours. A new functionality was added to the Library website. At the New Acquisitions page you can click on "new books" button and see the list of new books added to the library catalogue in the last 30 days. The list is updated systematically. From Monday (5/10) till Friday (9/10) the Library will be open from 9.00 a.m. till 5.00 p.m. On Saturday (10/10) the Library will be closed. Please also note that on Thursday (8/10) and on Friday (9/10) the Library will be closed for external vistors. From 12/10 we will get back to regular opening hours. Central & Eastern European Academic Source™ (CEEAS) a new database provided by EBSCO on EBSCOHOst platform will be available for testing from 1 October till 31 December. It is a multidisciplinary, multilingual database providing access to more than 375 full-text publications covering many academic areas including business & economics, medical sciences, political science, law, library & information sciences, literature, linguistics, history and sociology relating to central and eastern European countries. See the full coverage. To test the database simply go to EBSCOHost website. The exposistion of books about Turkey can be viewed in the Library's Reference Room. The exposition aims to encourage students to broaden their knowledge before the study trip to Turkey at the beginning of October. A selective bibliography compiled on the basis of Natolin Library collections and resources can be consulted as well. A directory of Polish EDC network entitled Centra Dokumentacji Europejskiej w Polsce: Vademecum (Warszawa 2009) was published. It is available in Polish. It contains a brief description of EDC network structure and activities as well as a detailed information on all Polish EDCs. More information can be found at European Commission Representation in Poland website. Due to the building works the Library will be closed from 15 July till the end of August. It will reopen to external users on 10 September. The Library offers a trial access to EBSCO Political Science Complete valid till 16 May. The service provides full text for more than 385 publications, and cover-to-cover indexing and abstracts for more than 800 journals, including top-ranked scholarly journals. PSC has a worldwide focus, reflecting the globalization of contemporary political discourse. The database also features more than 165 full-text reference books and monographs, and over 27,000 full-text conference papers, including those of the International Political Science Association. PSC includes a subject-specific thesaurus with 10,453 terms (4,041 preferred and 6,352 non-preferred terms), to provide subject searching guidance to researchers. The Library offers a trial access to SAGE Reference collection valid till 12 April. The service hosts more than 80 authoritative encyclopaedias in social sciences i.a. Encyclopedia of Anthropology, Encyclopedia of Environment and Society, Encyclopedia of Gender and Society, Encyclopedia of Global Warming and Climate Change, Encyclopedia of Governance, and many others. More information about the service can be found in the brochure. Trial access to The New Palgrave Dictionary of Economics Online has been offered by the publisher. It is the online version of highly acknowledged reference economics resource also available in the Library in a hardcopy (Vol. 1-8 : Reference Room 24992-24999). Here you can find out more about this publication. The access is available from any networked PC at the Natolin Campus and it is valid for two weeks (till 9 February). We encourage you to test this service and send us your feedback on its usability. Please send your comments to Wiktor T. Pozniak or to Pawel Mielczarek. In case of any questions or problems with accessing the service, please contact systems librarian. 1 December - College's new brochure and poster available. 8 September - On Saturday 6th September the Workshop on European Documentation, Library and Electronic Resources took place. Ian Thomson has delivered two lectures on the role of information and communication in the governance of the European Union and on the Internet resources about Europe. Handouts and slides of both presentations can be viewed here: handout 1, slides 1 / handout 2, slides 2. 29 June - The Library will be closed from 1 July until 31 August. 26 May - At the beginning of April Natolin Library blog has been launched. It is written in Polish by Library Director Wiktor T. Poźniak. You can find there information on current events, Library and European Documentation Centre activites, photos as well as short posts on various aspects of EU information and documentation. Bonne lecture! 14 April - Two persons have recently joined the library team. Gabriela Głażewska and Katarzyna Dudek will partially take care of Reference Desk and support cataloguing and serials teams. 1 June - Juliusz Rzewuski has joined the Library team. 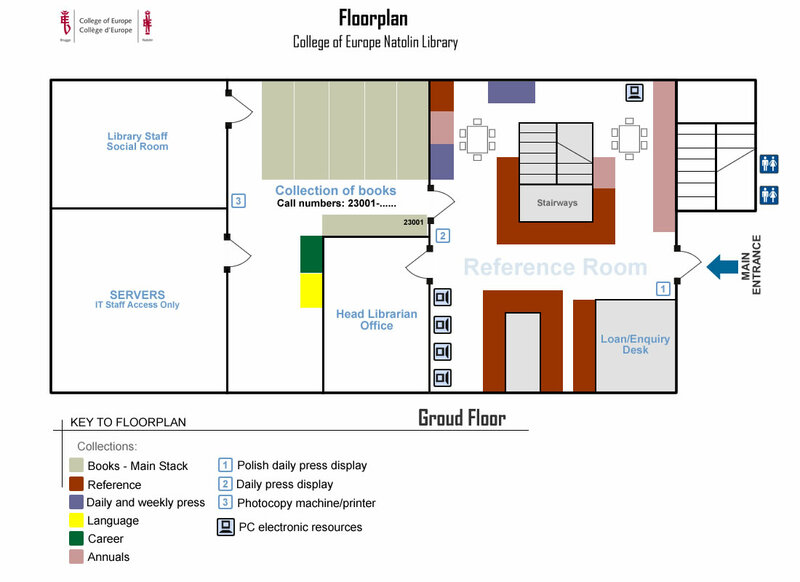 25 October - Official launch of the Library catalogue and automated circulation module. 8 December - Natolin Library website draft version ready!